Feeling safe begins with the specific safeguards that are out there that provide the person with a sense of comfort and security. 911 is one of these comforts that people use whenever they are in distress and need help. The 911 telephone number is able to provide your home with firefighters, paramedics for medical emergencies, or police officers if there is another problem. 911 has come a long way over the years, and continues to be used each and every day. The first universal emergency phone number, 911, was created in 1957 for the purpose of public safety. It was proposed by firefighters that wanted to ensure people had a place to call to reach the fire department. It was determined that using separate emergency numbers for separate emergencies was not ideal, and one universal number was created to ensure that people would be better able to reach the emergency personal that they are in need of. The emergency department commission, along with AT&T, came up with a solution that this number was needed. They decided that they would hold this emergency number and transmit the calls to the necessary emergency personnel. They came up with 9-1-1 since it is easily remembered, can be dialed quickly and provides the user with a quick way to reach the necessary emergency professionals. It has also never before been used as an area code or other number; making it completely unique. In the 1970’s, AT&T and other departments came together to make the emergency 911 call number more sophisticated. They worked to provide specific departments and answering services that would provide a more productive and efficient way to send emergency crews to the necessary places that the citizens were calling from. It did not come without a fight between the emergency professionals that saw the benefits of using one of these numbers and the national government that was yet to recognize the benefits of using the system. There were press releases, conferences, and meetings that were held to figure out if this was something that would provide the country with a unique benefit that would actually help, and not waste resources. By the mid 1980’s, over half of the United States population was using this universal emergency number. In addition to this, Canada found the advantages of using a universal emergency number and soon adopted the same code of conduct throughout their country. They also utilize 911 as their emergency number. Currently, citizens that need to have a response for an emergency use the universal emergency line, 911, throughout each of the 50 states. It has saved millions of lives by the effective and efficient way that it is able to connect these citizens in need with the emergency professionals that are able to help with the situation. 911 continues to be a go-to for the country, and it does not look like it will be replaced any time soon with another method of reaching emergency professionals. Remember when you are traveling to foreign countries and you find yourself in need of emergency assistance, 911 will not work for you. Each country has it own set of emergency response protocol. For instance, the common emergency response number is Europe is 112. It’s also important to keep in mind that when you dial 911 from your cell phone, it does not automatically track your wireless location. It may take several seconds or even minutes for the dispatch to be able to track your location. If you or your loved one are ever faced with an emergency situation, rest assured that help can easily be reached. 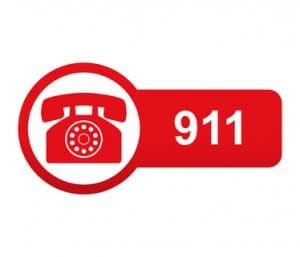 Simply dialing 911 will connect you with an emergency dispatcher who can send police, fire or EMS services to you quickly when you need it most.